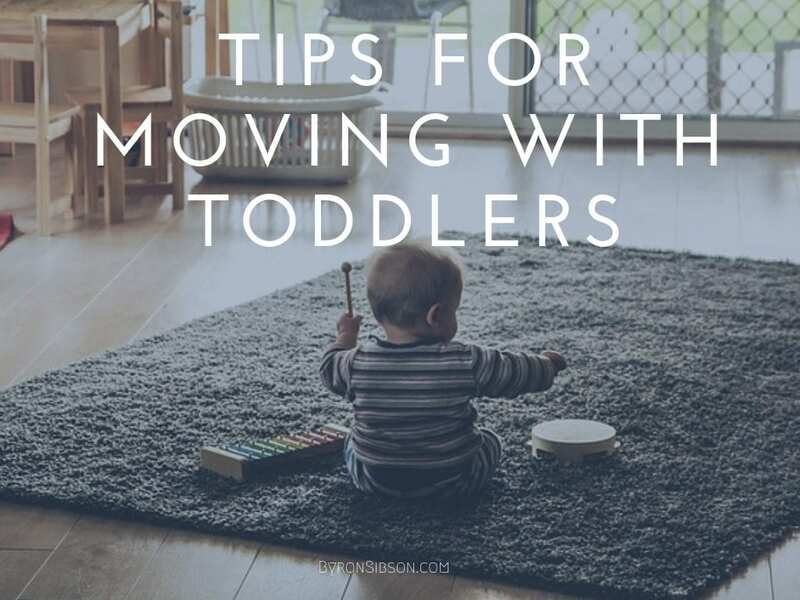 Moving with kids, especially babies, infants, and toddlers can be stressful and difficult, so if you have an upcoming move, you may already be feeling anxiety about how to deal with children. I get it, kids hate for their normal routines to be disrupted, Heck, even adults get a little bit nervous when we divert from the normal routine. But we tend to understand what’s happening a little bit better than small children and toddlers. Moving can have psychological impacts on kids of all ages, whether it’s an infant or a teenager. They may be sad about leaving their friends behind or toddler’s can fill the lack of attention, when mom and dad spend too much time working on fixing up the house for a sale or just focus on packing up boxes. It can be almost impossible to give children the same amount of attention as their use to. This might create some cranky behavior and especially with toddler’s, this is an age when your kids recognize changes all around them and they’re usually not excited about it. I’ve often talked with parents that are trying to move and just as they put things in boxes, they have the kids take them back out again. Or, you’ve packed up all their toys, only for that one toy to be the one they really want to play with right now. So here are some easy things to remember when moving with small children. By starting with a checklist you can keep things organized and on track as much as possible. Make sure every box is specific to certain areas of the house and pack up the kids his staff last. If at all possible, have these items packed the day of moving or at least leave a box of toys out and easily accessible for kids to play with during the move. There’s nothing wrong in seeking a little bit of advice and help from family and friends. Perhaps friends or family can watch the kids on moving day or on a day where you plan on packing everything up. The last thing you want is to trip over a child or have them hurt themselves. The definition of frustration is when things don’t go as expected. Well, I hate to give you a shock here, but usually, nothing goes as expected when it comes to moving and relocating. The more flexible you are and keeping your emotions out of the mix will keep the energy and stress level to a minimum for both the adults that are moving and the kids. Try to keep to the routine. This can be very difficult but if you can stick to the daily routine as much as possible, it will keep things as undisturbed as possible. Remember, a sleep-deprived toddler can wreak havoc in the home. Have kids stick with preschool or daycare schedules, bedtime, and eating schedules as much as possible. I understand that this may be impossible every moment of the day, but the more you stick to the routine, the better everyone will be. Give up a little control. Toddlers have control over nothing except their own emotions at this age. They love control and if they can be a part of what you’re doing it could be used to your advantage. Have them complete smaller tasks and ask about things like their toys and furniture in their room. Regardless of what you’re going to do anyway, simply asking them will help bring them into the decision-making process. Moving with kids can be stressful but with a little bit of patience and planning, you can figure out a plan that works for everyone. Planning on relocating to or from Collin County? Feel free to give me a call and let’s discuss your relocation needs. I specialize in neighborhoods such as Seis Lagos, Heritage Ranch, Inspiration, and surrounding master-planned communities. I can help price your home correctly or help you find a home in any of these and surrounding communities throughout Collin County. Get Started on Your Relocation Today!